This ideal and indispensable body care treatment, thanks to the symbiosis of its two powerful natural ingredients, reduces cellulite, orange peel skin effect and, simultaneously, acts on the delocalisation of already existing fat. It firms up the silhouette, tones up your body and gives you back a shapely profile. Its supple, silky texture moisturises your skin, soaks in instantly and dries in 3 minutes. - The patented natural active compound; BNF/I+, contributes effectively to re-establishing the density of collagen and boosts the elasticity and firmness of your skin. - It stimulates microcirculation so as to reduce swelling in the legs throughout the entire day. - It contains Hyaluronic Acid, which regenerates tissue and helps to maintain the skin’s moisture balance. 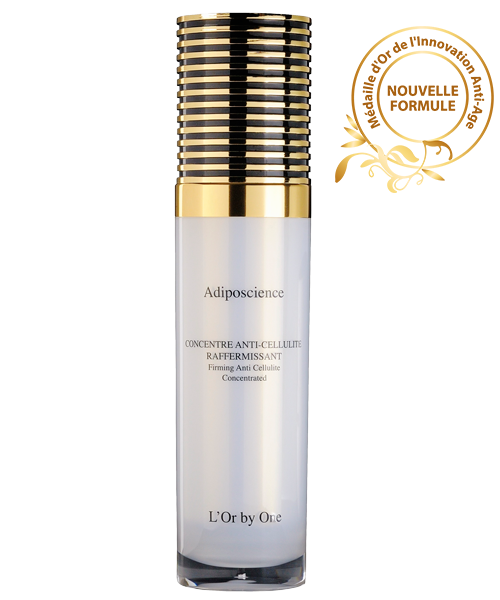 - It reduces lipogenesis by preventing LPL (Lipoprotein Lipase) action and accelerates the dissipation of fatty acids. Apply every morning on clean skin over all the zones concerned, using circular movements. For an optimal treatment, it is recommended that you adopt a balanced diet.